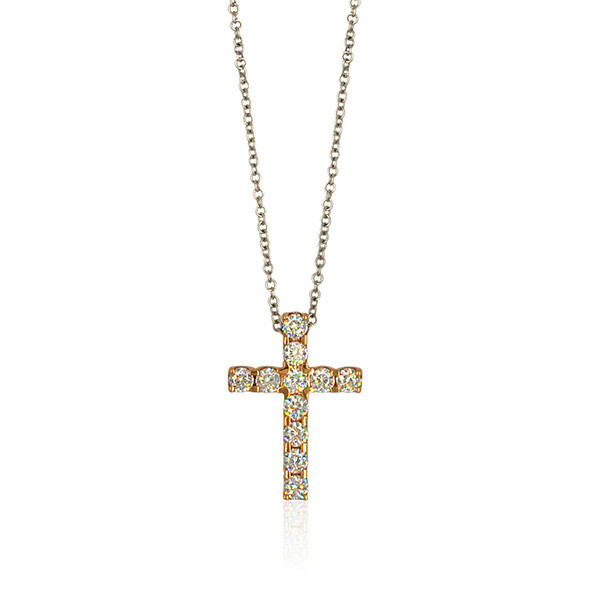 This Roberto Coin necklace from the Cento collection lets your faith shine brightly. Crafted in 18K rose gold, a cross embellished with diamonds dangles from an adjustable precious metal chain that you can wear at 16" and 18" lengths. The 100-facet Cento diamond, like your devotion, is one of nature's gifts; both are present in this piece of religious jewelry from Roberto Coin.